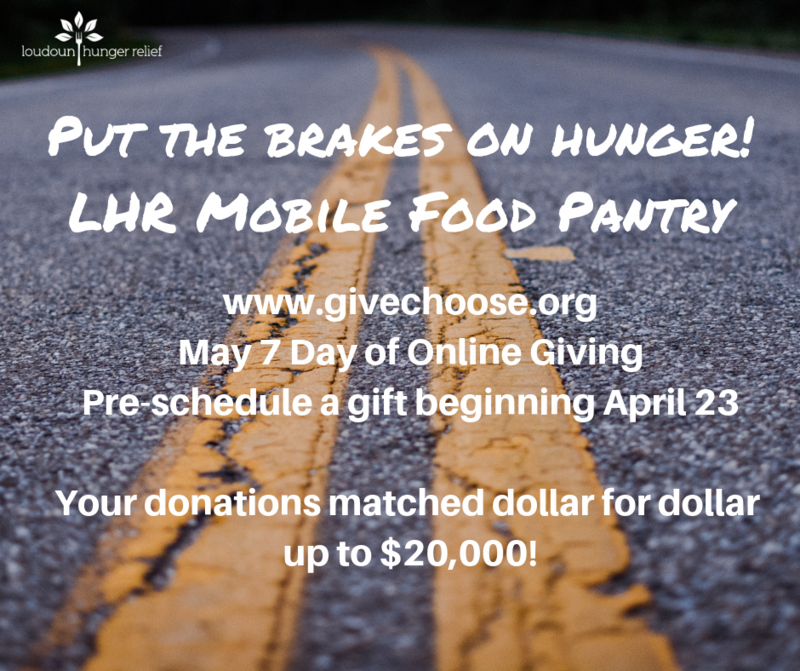 Put the Brakes on Hunger! 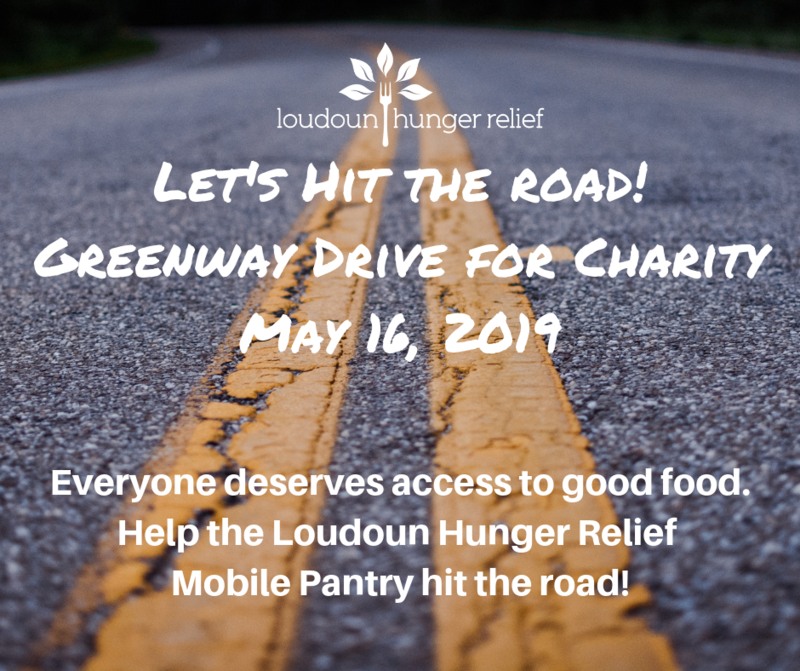 Loudoun Hunger Relief is raising funds for the purchase of a Mobile Pantry vehicle. We need your help to complete the funding on May 7, GiveChoose day in Loudoun. 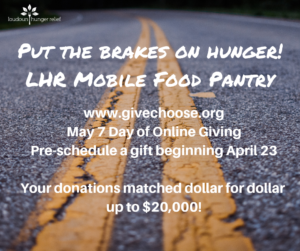 Go to givechoose.org to pre-schedule your gift beginning April 23, or to give on May 7! Your gift will be matched dollar for dollar up to $20,000 by other generous donors!